HANNAH TO is currently a student of Deborah Nemko at New England Conservatory Preparatory School. She has been studying piano since the age of 5. Hannah has competed in several piano competitions including the NEC Prep Concerto Competition and the Piano Extravaganza at the University of Rhode Island, where she placed second. In addition, Hannah has attended numerous festivals and master classes including Boston Conservatory’s Youth&Muse Festival, Chamberfest at Longy School of Music, and the Grumo Festival in Tesero, Italy. She also tutors and gives piano lessons to young children. Not only is Hannah classically trained, she is also the pianist of her high school jazz band and award-winning show choir pit. Besides piano, she also plays a Chinese instrument called the yangqin. 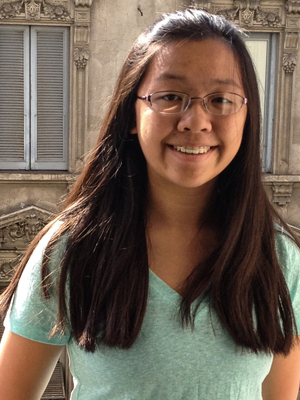 Hannah attends Oliver Ames High School and in her free time enjoys reading, playing tennis, and studying physics. Hannah is a member of the Center for Development of Arts Leaders (CDAL) in Boston.